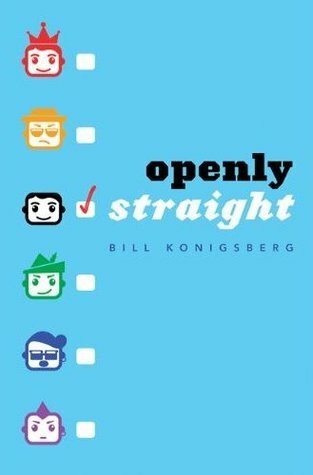 I didn’t know what to think going into this book, but I enjoyed it a lot. It didn’t end where I expected it too.It felt really realistic throughout the entire novel. It makes sense where Rafe ends up. 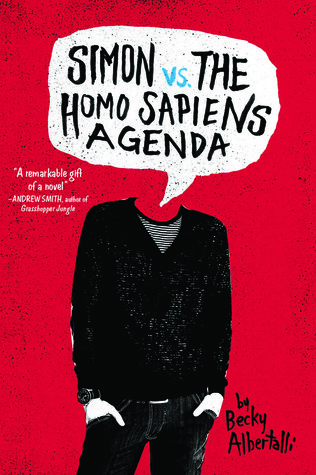 I loved how the book was about labels in a different way than I usually see in queer young adult novels. Rafe doesn’t want to live life with the label gay, but there are some advantages and disadvantages he faces from it. I liked Rafe. I was surprised by that. He has to go through a lot of self discovery in the book. During that process he definitely hurts some people he cares about. Even so I didn’t feel like he was being overly selfish in his process. I felt like doing what he did was something that he thought he needed. There were great side characters in this story. Albie and Toby were so weird and I loved them. Bryce and Ben were both characters I really loved as well.Rafe’s parents are really cool. They need to take a step back sometimes, but I really liked them. I also loved his best friend Claire Olivia. I thought the scenes with her in them were fun. The writing style was great.It was a really easy read. I felt like the overall message of this book was about self love.Rafe takes his time getting there. I was excited to finally get to read this book, but it still took me a while to start reading it once it arrived. I used my vacation for it and it was so hard to put it down and do stuff with my family because I loved reading Simon’s story. It was so hard to put down. Simon and his relationship with Blue is the sweetest thing. I loved reading it. The emails between the two of them were something I’d want to just keep reading forever.They are so sweet to each other and you see how much they care about each other. I have weird ships and don’t always like the pairing that the main characters end up with.Even in books where there doesn’t look like there would be an other option I can hate the romantic pairing. This is a pairing that I loved and I actually guessed who Blue was pretty early. It’s definitely not easy for most people, but the pairing was what I wished the pairing was in so many books where I hate who the protagonist ends up with.This book gave me everything I wanted. Except for some more closure for Leah’s storyline, but I’ll let it slide. I really liked Leah’s character. I think she’s a great friend to Simon and I don’t think anyone in the book really thinks about what she’s going through ever. Abby and the other beautifully written characters of color in this book made me so happy. I wish I didn’t have to point this out , but I still do. It’s something I don’t see enough in YA. Abby being the beautiful girl who all the guys want and all the girls are jealous of is a big deal. My sister was so happy when she saw that. I wish I could explain how her eyes lit up at that. It was something I noticed early on and knew I would love the book from there on out. This is a story that I will definitely be rereading on a gloomy day to cheer me up sometime in the future. I am going to be recommending this book way too much now.